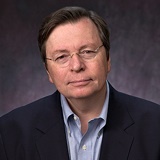 Charles Lewis, a former CBS News “60 Minutes” producer and bestselling author, is the founding executive editor of the Investigative Reporting Workshop and professor of journalism at the American University School of Communication in Washington. He is a contributing editor to the Columbia Journalism Review. Lewis was also interviewed about the project, Investigating Power, on NPR's "All Things Considered." The Pulitzer season is a time for inspiration and reflection. Inspiration because those and other awards each year remind us of how important public service reporting is, and that American news outlets—even those struggling financially—continue to do it. A case in point is The Philadelphia Inquirer, which just won the Gold Medal for its series about violence in the city’s schools. In Alabama, the Tuscaloosa News staff didn’t let a power outage stop them from covering a deadly tornado, publishing from another plant 50 miles away, and online. The awards also remind us that age and experience are not always prerequisites to powerful truth-telling. Exhibit A is 24-year-old Sara Ganim of The Patriot-News, in Harrisburg, Pa., who disclosed the child molestation allegations against Jerry Sandusky, the former Penn State assistant football coach, months before other news organizations. Pulitzer Prize winners and finalists in recent years also have reflected the changing media landscape, with relatively new for-profit publications — Huffington Post and Politico — and nonprofit news organizations —ProPublica, the Center for Investigative Reporting’s California Watch — recognized for outstanding journalism. Newsroom staffs have continued to shrink, which may explain the drop in the last 27 years in the number of entries in various categories for the Pulitzer Prize, one of the profession's highest honors. Sources: Investigative Reporting Workshop research, "The Reconstruction of American Journalism," by Len Downie and Michael Schudson; and "The Death and Life of American Journalism," by Robert McChesney and John Nichols. My own response, in part, to these developments has perhaps been in character: massive research. Back in 2005, I began reporting for a book of journalism history — on the origins and trajectory of public relations and propaganda, the deadliest deceptions by government and companies, and the truth-telling capacity of journalists and their news organizations over the past century. And that last curiosity led me to explore national “moments of truth” in contemporary U.S. history — moments in which news organizations, through their deep independent reporting, exposed egregious abuses of power and shaped history. The idea was to look to the past to inform and to inspire the future. In my lifetime, roughly since 1950, independent journalists have fearlessly reported such abuses. For example, the anti-Communist demagoguery of Senator Joseph McCarthy in the early 1950s; the institutionalized racism and injustice in the South and the Civil Rights struggle to combat it between 1954 and 1968; the gross misrepresentations and even civilian atrocities during the Vietnam War; the wholesale illegalities and breaches of faith broadly known as the Watergate scandal; the various excesses of corporate power over many decades, in which millions of Americans suffered financially or died from dangerous substances and products; and the various improper, illegal, or extra-legal uses of U.S. power in post-9/11 America. It is no exaggeration to note that the course of US history itself was altered by this kind of independent scrutiny of those in power. The result is an online, multimedia presentation called Investigating Power. Twenty-six men and women — including the late Halberstam, Rachel Carson, and I.F. Stone — are profiled in it. They are journalists who have asked the most difficult, inconvenient questions and helped expose some of the most significant abuses of power of our time. It is a work-in-progress that will become more thorough and inclusive over the next decade, as more journalist oral-history interviews are conducted. 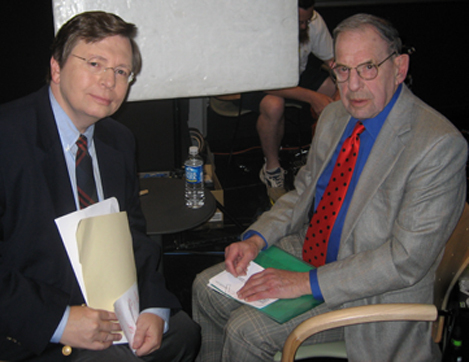 Charles Lewis and Murrey Marder, formerly of The Washington Post.